CES Executive Director Debates Lancaster Mayor Over City’s Attacks on Section 8 Tenants on March 16, 2012! Weekdays, 3:00 PM – 6:00 PM. Officials of the City of Lancaster in the high desert area of Los Angeles County has been waging a war against low-income Section 8 rent subsidy tenants for some time. Lancaster officials have attempted to reduce the number of its Section 8 tenants by accusing them of being responsible for crime in the area, hiring housing authority inspectors to intimidate and harass them and attempting to pass laws to deny business licenses to landlords who accept Section 8 vouchers. These actions h ave created an atmosphere of fear for low income tenants and has even result in physical attacks to Section 8 renters. Civil rights groups have filed discrimination suits against Lancaster, the Los Angeles County Bound of Supervisors have eliminated funds of the additional housing inspectors and the US Department of Housing and Urban Development has threatened to cut hundreds of thousand of dollars in federal funds to the city. 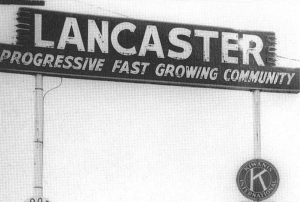 Now Lancaster has out done its previous actions. The city has filed a complaint alleging Los Angeles County and its housing authority unlawfully favor African Americans when granting vouchers for Section 8 housing. 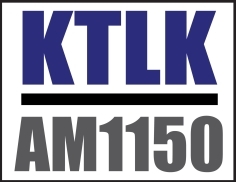 Coalition for Economic Sur vival Executive Director Larry Gross debated Lancaster Mayor Rex Parris on Lancaster’s latest attempt to rid the city of Section 8 tenants on Friday, March 16, 2012 on the David Cruz radio program heard on KTLK 1150 am between 3 and 6 p.m. LISTEN TO THIS RADIO PROGRAM BY CLICKING HERE. Recent newspaper articles, some including CES’ responses, reporting on the various attacks on Lancaster African America Section 8 tenants. Click on article to read.